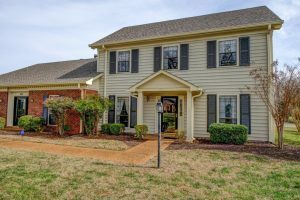 SOLD $123,000 Estate Auction - 4 BR, 3 BA Condo at Forest Oaks II | Middle Tennessee Real Estate :: Maples Realty & Auction Co.
Saturday, March 11th @ 10:00 a.m.
Four bedroom, three bath (1 down & 3 upstairs), spacious condominium in well established Forest Oaks II. Two story, CHA, formal living & dining room, den with gas fireplace, covered patio & 2 car-carport, large attic storage area. Very nice area in a super location! Directions: From Memorial Blvd., go east on E. Northfield Blvd. Property on left. PARKING AT FOREST OAKS II CLUBHOUSE ONLY!!!!! Property will be sold inside the unit (#930). Auctioneer Note: Do not miss this opportunity to buy a condo in a great location on the north side of Murfreesboro.